Posts tagged with "mental health"
The Majority of Children with Autism Are Bullied—Do You Know How to Help? Children with autism face unique social and education challenges that require attentive support. 1 in 59 children is diagnosed with autism spectrum disorder. Boys are four times more likely than girls to have autism. Autism affects all ethnic and socioeconomic groups. Autism spectrum disorder encompasses a wide range of challenges with repetitive behaviors as well as social and communication skills. For students with Autism, school can be daunting, as they are faced with social interactions and not feeling accepted. Coupled with that, children with Autism are at higher risk for being victimized or bullied by peers. Nearly two-thirds of children with autism between the ages of 6 and 15 have been bullied—over twice the rate of children without autism. 65% of parents report that their child had been victimized and 50% report being scared by their peers (Issues in Comprehensive Pediatric Nursing (2009)). These pressures can lead to refusal to attend school, anxiety or depression, and an overall decline in academic performance. This is borne out in the high school graduation rates for students with disabilities, which is only 67.1% (U.S. Department of Education’s National Center for Education Statistics), compared to an overall 84% graduation rate. Highlight individual strengths. Parents and teachers can be proactive by teaching children that it’s natural to expect others to be just like us, but the things that make us different are often the very things that make us special. Make a habit of complimenting students on their strengths—including in front of their peers. Widen perspectives. Teaching children to see things from more than one perspective is a key part of developing empathy. Help children connect beyond surface circumstances to underlying emotions. If a child makes fun of a student for not being good at something, ask them to reflect on something that is hard for them. Praise kindness. Children risk being teased or bullied themselves when they reach out to a student who is being bullied. It takes courage for students to act. Turn this perceived liability into an asset by applauding acts of kindness. This can be done individually, (“I saw how you stood up for Kyle and I’m really proud of you.”) and corporately, through public recognition or incentive programs. Get involved. If a bullying situation has developed, adult intervention is usually required. Leaving students to “work it out themselves” will often exacerbate or prolong a negative situation. Involve students and parents in addressing the situation. Approach the conversation with a problem-solving, not a punitive attitude. Provide support. Children can feel a range of emotions—from fear to shame and many more—when they’ve been the victim of bullying. Don’t assume because a child is no longer actively being bullied, that the situation is resolved. Make space for them to talk about their feelings and provide any additional support they need. 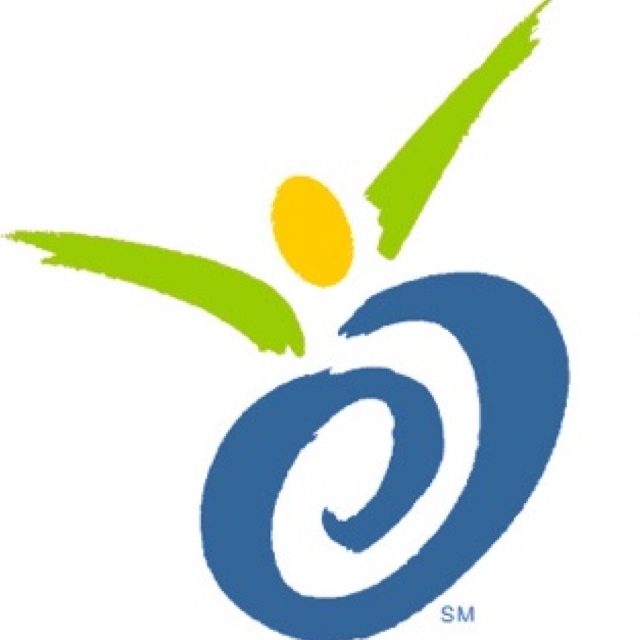 The Watson Institute is organization providing special education programming as well as outpatient mental health services such as social skills groups, therapy, and evaluations for children ages 3 to 21. www.thewatsoninstitute.org. This entry was posted in Health and tagged 360, 360 Magazine, academic, anxiety, Autism, bullying, Comprehensive Pediatric Nursing, depression, education, graduation, health, kindness, mental health, perspective, praise, prevention, social, strengths, Support, Tara McDonough, therapy, tips, Vaughn Lowery, watson institute on April 24, 2019 by wp360mag. AQUAhydrate® has initiated a new partnership with Wounded Warrior Project®(WWP) and is donating $10,000 this summer to help honor and empower wounded warriors. 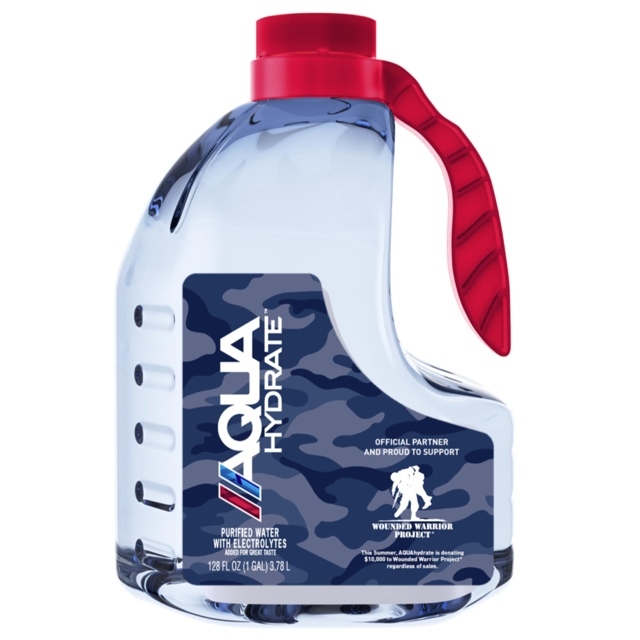 AQUAhydrate is promoting the partnership with a co-branded camouflage edition of their Gallon package, the fastest-growing SKU in the high pH water segment. Available now through the 4th of July, the AQUAhydrate Camo-Gallon can be purchased at CVS, GNC and other fine retailers. WWP is focused on supporting injured veterans, which includes providing free services in mental health, career counseling, and long-term rehabilitative care. Through its partnership with WWP, AQUAhydrate is helping to make sure warriors are supported on their journey to recovery. AQUAhydrate, Inc. is a Southern California-based performance lifestyle beverage geared towards the new generation of millennial consumers. Through a proprietary process, its water is purified to some of the most rigorous standards in the industry, supplemented with electrolytes and natural trace minerals and then elevated to an alkaline pH of over 9. It is this powerful synergy between alkalinity, electrolytes and minerals which fuels ultimate hydration, balance and performance. AQUAhydrate is the water of choice of health/fitness authorities, professional athletes, and sports teams. Leading health and wellness expert, Jillian Michaels, spearheads all health and fitness efforts as AQUAhydrate’s Chief Wellness Officer. AQUAhydrate also boasts active investors and board members Mark Wahlberg and Sean “Diddy” Combs as owners. AQUAhydrate is available at retail locations across the U.S. as well as Amazon.com and GNC.com. Follow on Facebook, Instagram and Twitter. Since 2003, Wounded Warrior Project® (WWP) has been meeting the growing needs of warriors, their families, and caregivers – helping them achieve their highest ambition. Every journey is different, and Wounded Warrior Project meets warriors wherever they are on their journeys to recovery. Learn more at woundedwarriorproject.org. This entry was posted in Uncategorized and tagged 360, 360 Magazine, alkaline, AQUAhydrate, athletes, Camo-gallon, career counseling, consumers, cvs, diddy, empower, fitness, gnc, health, industry, jillian michaels, lifestyle, long-term rehabilitative care, Mark Wahlberg, mental health, military, millennial, mission, P. Diddy, performance, raz inserra, Sean Combs, sku, Southern California, sports teams, Tara McDonough, Vaughn Lowery, Veterans, water bottle, wellness, wounded warrior project on April 18, 2019 by wp360mag. 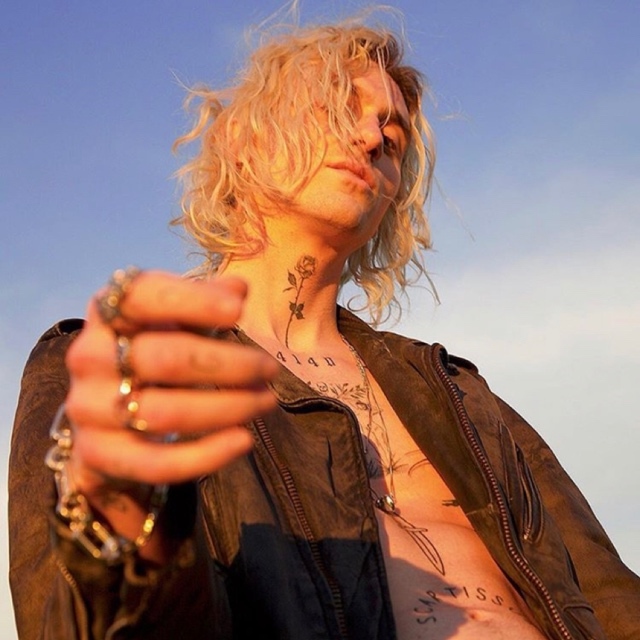 This entry was posted in Fashion + Music and tagged 2 hearts, 360, 360 Magazine, diveliner, emo-pop, ethereal, grundge, lexapro, Los Angeles, medication, mental health, new music, new music video, Noisey, Pigeons & Planes, pop, producer, singer, Tara McDonough, Vaughn Lowery on April 10, 2019 by wp360mag. A panic attack is a sudden, intense episode of fear or dread accompanied by physical symptoms such as pounding heart, sweating, trembling or shaking, lightheadedness, feeling faint, shortness of breath, choking sensations, nausea, abdominal distress, chest pain, cold and hot chills, numbness and tingling, feelings of being detached or things seeming unreal. Individuals with panic disorder fear that they are going to die, go crazy, or lose control. They then begin to fear getting future attacks and will often change their behaviors to ward off panic attacks; a disorder called agoraphobia. Tip 1: The first thing to remember is that a panic attack is an emotional alarm that is meant to protect us not harm us. Panic attacks, although unpleasant to experience, are not dangerous. Biologically, a panic attack is the fight-flight response or your body’s mechanism designed to protect you from danger. It is called the fight-flight response because it helps you fight or flee the danger to protect us. If you are in danger, the fight-flight response would create fear and release adrenalin and create an automatic response in us to take immediate action (attack or run). In panic attacks the fight-flight response kicks in even though you are not in any danger. Tip 2: Panic attacks usually begin right after a stressful life event so focus on dealing with the stress you are under rather than trying to stop the panic attack. Tip 3: Fearing that panic will harm you ironically only makes you have more panic attacks – your brain thinks you are in danger when you become afraid of panic attacks so the only thing it knows to do to protect you is to give you more panic attacks. Tell yourself you are not in danger and that it is just a harmless panic attack and that it will go away on its own without you doing anything to stop it. Tip 4: Trying to stop a panic attack in the middle of an episode is not helpful because you are inadvertently telling your brain that you are in danger even though you are not. Letting the panic attack ride over you until it washes away and not changing your behavior to avoid it or escape it is the best thing you can do. Over time, your brain will learn that you are not in danger and the panic attacks will reduce over time. 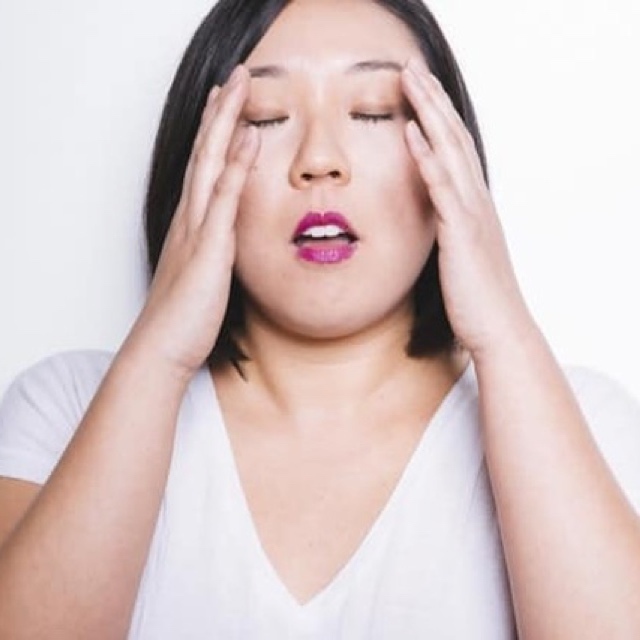 Tip 5: Deep, slow breathing exercises (slow, diaphragmatic breathing) that helps regulate oxygen and carbon dioxide can be calming and may be helpful to do regularly as a way of calming your over-anxious state in general. However, it is wise not to use it to stop a panic that you are afraid to have in the moment as it likely won’t work anyway and it will also inadvertently convince your brain that you are in danger. Tip 6: It is best to first to go to a medical doctor when you have your first attack to make sure it isn’t anything like a thyroid condition etc. Once the doctor rules out any physical basis for panic attacks, it is best to not keep going back and taking unnecessary medical tests over and over again. Cognitive-behavioral therapy (CBT) has been shown to be effective in treating panic disorder and agoraphobia. First, individuals are educated about panic attacks and the physical symptoms of anxiety and fear that are experienced. Second, they are trained on how examine and change their unhelpful thoughts and beliefs that lead to panic attacks in real time. In addition, individuals are trained to reduce physical tension, and are then exposed to physical sensations of panic and to feared and avoided situations and sensations until the person realizes they are not dangerous. Repeated exposure helps to reduce the fear induced by these situations and teaches the person that the sensations experienced are not dangerous. When the fear of the physical sensations is reduced, future panic attacks are reduced. Lata K. McGinn, PhD is a licensed clinical psychologist and co-founder of Cognitive Behavioral Consultants. She is also a tenured Professor of Psychology, Director of the Doctoral Clinical Program, and Director of the University-based Cognitive Behavior Therapy Training Program for Anxiety and Depressive Disorders at the Ferkauf Graduate School of Psychology, Yeshiva University/Albert Einstein College of Medicine. Dr. McGinn presents her research worldwide and is regularly invited to conduct keynotes, lectures, seminars and workshops throughout the world to professionals, consumers, schools, agencies, and companies. Her research focuses on vulnerability and prevention of anxiety and depressive disorders. She has recently developed an intervention to prevent the development of depression and has tested the efficacy of this intervention in a NIH funded research study. CBC is a clinical and training center comprised of internationally recognized mental health professionals who have researched, pioneered, and are highly experienced in delivering cutting edge evidence-based treatments that help adults, adolescents, and children live more fulfilled lives. Founded in 2004 by Drs. Lata K. McGinn and Alec L. Miller, leaders in the fields of Cognitive Behavioral Therapy and Dialectical Behavioral Therapy, the CBC team provides a large array of Clinical and Wellness services to the public, provides Custom Designed Programs for schools, agencies, and businesses, and conducts Continuing Education for Professionals in the field of psychology throughout the year. More information can be found here. This entry was posted in Health and tagged 360, 360 Magazine, agoraphobia, alec l. miller, anxiety, CBC, Clinical, Cognitive & Behavioral Consultants, cognitive behavioral therapy, custom designed programs, depression, Dialectical Behavioral Therapy, dr. lata k. mcginn, dread, fear, Ferkauf Graduate School of Psychology, health, mental health, mental health awareness, panic, panic attack, Tara McDonough, Vaughn Lowery, wellness, Yeshiva University/Albert Einstein College of Medicine on March 25, 2019 by wp360mag. Dr Sarmila Sinha’s ‘Depression: A Guide to Recovery’ is an uplifting and actionable guide to the symptoms, causes, treatment and management of depression – possibly the world’s most common yet misunderstood condition. Crammed with relatable case studies, Dr. Sinha ensures anyone with a mood disorder is pulled out of the dark and into a place of power, hope and the understanding that their depression far from defines them. United Kingdom – A staggering 15% of the world’s adult population will experience some form of depression in their lifetime yet, considering its epidemic prevalence, depression and associated mood disorders retain a dangerous stigma and disappointing lack of common knowledge. Dr Sarmila Sinha has spent her career specializing in the treatment of mental illness in the general adult population and, in her new book, hands depression sufferers a vital lifeline. ‘Depression: A Guide to Recovery’ does exactly as it says on the cover, without judgment, with dignity and in a way anyone can action. Depression: A Guide to Recovery is a comprehensive step by step guide to recognising depression, a common mental health condition. This book uses case examples to provide in-depth information on how to recognise the warning signs of depression, what the possible causes are, how to seek help and the different treatment options. In the modern day society, where people lead busy lives, we have a tendency to neglect our mental and emotional well-being. Within the pages of this book, you will find incredible advice on everything from coping with stress, to the early signs of depression. Using her years of experience, Dr Sarmila Sinha has created a ground-breaking and thoughtful guide, that will provide essential advice to anyone suffering from mental health issues. If you are struggling with low mood, stress or relationship difficulties, Depression: A Guide to Recovery is the ultimate resource to improve your wellbeing, and start living a happier life. ‘Depression: A Guide to Recovery’ is available now: https://www.livinglifestressfree.com. About the Author: Dr Sarmila Sinha, MBBS, MRCPsych, MSc is a Consultant Psychiatrist practising in the UK. She specialises in the treatment of mental illness in the general adult population. She has been a Health and Well-Being Ambassador for doctors at a London NHS Trust. Her special interests include stress among professionals and stigma in mental health. This entry was posted in Health and tagged 360, 360 Magazine, April Bussey, book, depression, Dr Sarmila Sinha, guide, health, mental health, professional, Vaughn Lowery on March 25, 2019 by wp360mag. The song follows the release of Kailee’s 2017 breakout single, “Medusa,” which catapulted her into an overnight success. After signing with Republic Records, she released her debut EP and a slew of critically acclaimed singles, including “F**k U,” “Do You Feel This Way” (feat. Whethan) and most recently “Siren.” “Headcase” sets the stage for Kailee’s upcoming project set for release this year. Multi-talented artist/director/actor/dancer Hayley Kiyoko has become one of the most celebrated new artists in the pop landscape since releasing her debut album Expectations. According to Rolling Stone, the album’s singles “‘Curious’ and ‘What I Need’ (featuring Kehlani) have placed her at the forefront of an unapologetically queer pop movement.” Coined by Kiyoko and her fans, #20GAYTEEN turned out to be a year full of firsts for the rising pop star who continues to break down barriers at every turn. After being nominated for two VMAs (Best New Artist and Push Artist Of The Year), Hayley attended her first-ever awards show to perform “Curious” and take home the moon person for Push Artist Of The Year. Her captivating live performance soared to new heights with a Coachella festival debut and a nationwide headline tour, which sold out every date including two nights at New York City’s Irving Plaza. Not stopping, Kiyoko went on to join Panic! At The Disco on their “Pray for the Wicked Tour,” performing in arenas across North America. She also took the stage in a stadium for the first time when pop icon Taylor Swift brought her out as a surprise guest on her Reputation World Tour. Kiyoko created a storm that drew attention from not only fans, but the media as well. She stunned on the covers of NYLON and PAPER, and was named to the No. 4 spot on NPR’s list “The 21st Century’s Most Influential Women Musicians,” right behind Beyonce, Lady Gaga and Rhianna. Kiyoko made her national TV debut performing “Curious” on Jimmy Kimmel Live!, and went on to perform fan-favorite “He’ll Never Love You (HNLY)” on Late Night with Seth Meyers. She also turned heads in New York City attending her first New York Fashion Week, sitting front row at shows including Christian Siriano and Opening Ceremony. Ending the year on an extremely special high note, Kiyoko was honored with the Rising Star Award at Billboard’s annual Women in Music event in December. With absolutely no signs of slowing down, Hayley kicked off 2019 on the road for her sold-out European Encore headline tour. For more information, visit www.hayleykiyokoofficial.com. 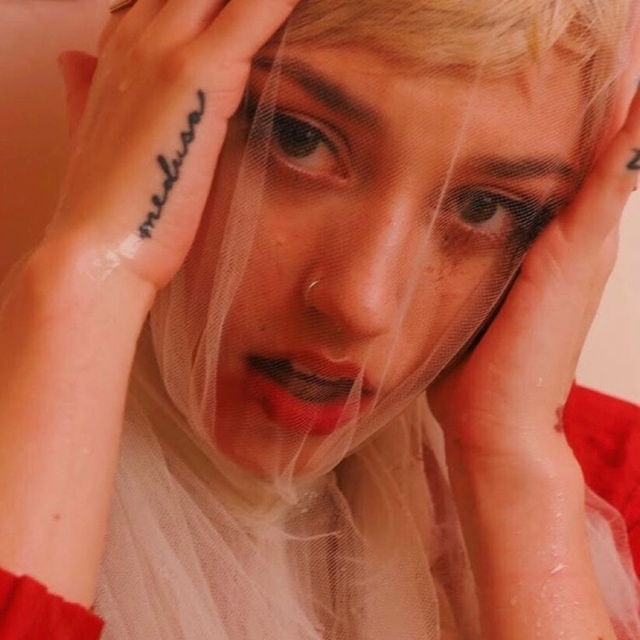 This entry was posted in Feature and tagged 20GAYTEEN, 360, 360 Magazine, bipolar, CJ Baran, Curious, Do you feel this way, f**ck U, Hayley Kiyoko, he'll never love you, headcase, Kailee Morgue, Medusa, mental health, pop, power anthem, queer, singer, Siren, songwriter, Tara McDonough, Vaughn Lowery, what i need, where is my mind on March 22, 2019 by wp360mag. If you already own a pet, then you’re likely to be well aware of the uplifting effect that a pet can have on your mood when you’re feeling sad. Your brain produces a number of different natural chemicals that each have their own effect on your mood. One of these chemicals is called oxytocin. When the brain releases this, you immediately feel happier and more loved. How are these feel-good brain chemicals linked to pets? Well, research shows that when you stroke a pet, this triggers your brain to produce and release an increased amount of oxytocin. This, in turn, will quickly have an uplifting effect on your mood. Simply looking into your pet’s eyes can have similar effects! Not only can many animals sense your emotions, but they can also tell whether you are feeling happy or sad. This is a concept officially known as emotional contagion, and it is something that is being increasingly studied. While research may still be ongoing, what we do know is that pets, whether they can sense your sadness or not, offer so much comfort and empathy. Your pet will be there to support you whenever you are feeling down, and your pet is also guaranteed to be one of the best listeners you will ever find! Just talking to your pet about whatever it is that is bothering you can actually increase your problem-solving abilities, meaning that you may even find a logical and productive way to overcome your sadness. While a fish or a hamster may not provide this benefit, other pets, such as dogs and cats, do tend to encourage their owners to spend more time outdoors. This is especially the case with dogs, and dog owners will likely find themselves outdoors so much more than they would have been, all because of their dog. Did you know that spending more time outdoors can have a direct effect on how happy you’re feeling? As you can imagine, when experiencing all of those different benefits, your sadness will soon disappear! Pets add so much to our lives, and the fact that an animal can almost immediately make a person feel happier is a huge added bonus for pet owners. Whether you own a dog, a cat, a fish, or anything else, try turning to your pet the next time you are feeling sad for an instant mood lift. Learn more here about how your pets can help boost your mood! 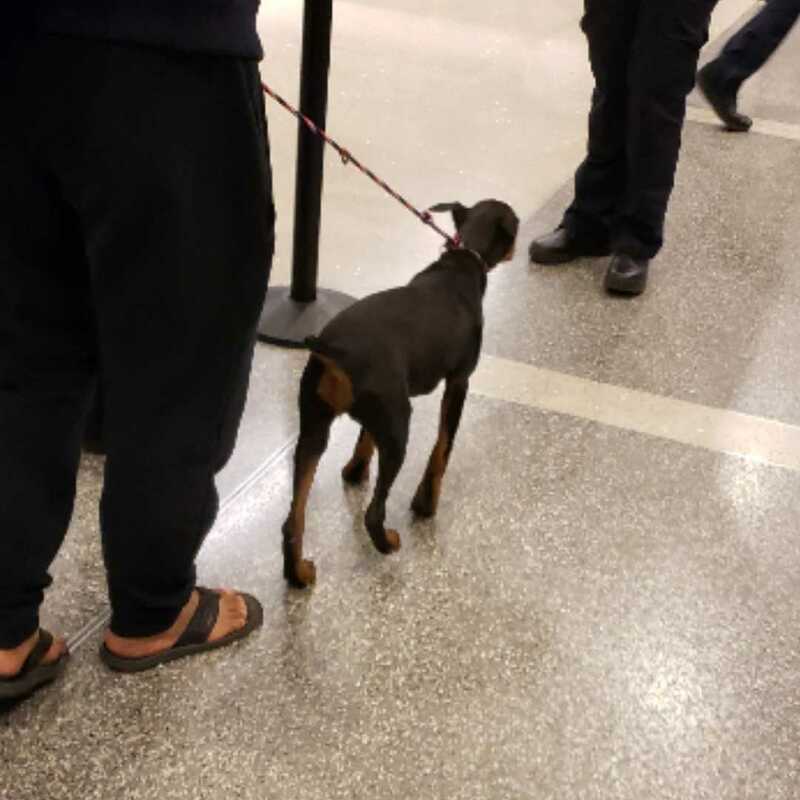 This entry was posted in Uncategorized and tagged 360 Magazine, animals, aspca, cats, comfort, dogs, emotional support, health, man's best friend, mental health, pets, puppies, therapeutic, Vaughn Lowery on March 19, 2019 by wp360mag. The painful and prevalent problem of opioid addiction plaguing families across our country has sparked national attention as the overdose death rates of these individuals has skyrocketed the past few years. The pervasiveness of the opioid epidemic is due in large part to the over-prescription of opioid pain medication and the highly addictive nature of these medications. Pharmaceutical companies and morally-corrupt doctors threw caution to the wind as “pill-mills” popped up all over the US. Although opioid use often begins with a legitimate injury and prescription for pain medication, those unfamiliar with the dangers of addiction are naïve to the depths of depravity it can take even the most innocent of souls. As tolerance to the drug builds, the individual takes more than prescribed to alleviate the pain. Eventually, the suggestion is made to crush the pill and snort it for a better, more immediate high. The treatment morphs into a habit, then an obsession. Most opioid addictions escalate to intravenous use. Though the person previously swore never to pick up a needle, the temptation outweighs the willpower, and life becomes consumed with chasing the euphoria of that first shot. At this point, the sheer financial burden of the habit is insurmountable. Lying, cheating, stealing, anything becomes justifiable in the name of the next fix. Inevitably, the solution becomes substituting the FDA regulated pills for the significantly cheaper heroin, which promises a more intense high. The recent inclusion of fentanyl in heroin increases the potency and the likelihood of overdose and death. Suffering with addiction is painful, exhausting, and frightening. Attempting sobriety means enduring withdraws, reality, feelings, and memories. Negative experiences with shady recovery businesses leaves clients feeling jaded and mistrustful. Unfortunately, many treatment centers view clients as numbers or worse, dollar signs. They treat clients according to insurance benefits rather than clients’ needs. Once insurance quits paying, clients are dropped off at bus stations to fend for themselves with no resources. Luckily, the substance abuse field is starting to shift, and task forces in South Florida are shutting down illegitimate “treatment centers” whose sole focus is greed. Cleaning up the reputation of the recovery realm paves the way for companies genuinely vested in the best interest of the clients and the communities, like Delphi Behavioral Health Group. With fifteen treatment facilities in various locations across the United States offering the spectrum of care, Delphi understands every client is unique and so too is the specific treatment needed. Willing to step outside the norm, Delphi launched New Perspectives in Boynton Beach, Florida, a medication-assisted treatment facility. MAT, while still somewhat controversial, is becoming an optimal treatment option for those suffering from long-term opioid addiction that have tried and failed at traditional, abstinence-based treatment models. New Perspectives offers a contingency-based model with highly monitored and conservative doses of Suboxone films. Suboxone decreases cravings for opioids and initiates withdrawal symptoms if opioids are ingested. Clients must be compliant with the clinical program to receive their prescriptions. Suboxone, in conjunction with intensive therapeutic services, provides a real opportunity for those afflicted with opioid addiction to finally create a life of sobriety. True, there is an opioid epidemic afflicting our nation, but new medications and treatment modalities bring hope that its reign is nearing an end. Jennifer Behnke, Clinical Director at New Perspectives, has worked in the field of mental health and substance abuse for over a decade. Jennifer graduated from Palm Beach Atlantic University in 2012 with a master’s degree in counseling psychology. In 2014, Jennifer became a licensed mental health counselor and licensed marriage & family therapist. At that time, she opened her private practice and took a position as a clinical director. Jennifer helped launch the medication-assisted treatment program at New Perspectives and became a qualified supervisor. She is currently pursuing a Ph.D. in marriage & family therapy with a specialization in couples therapy at Northcentral University. This entry was posted in Health and tagged 360 Magazine, addiction, Boynton Beach, Clinical Director, death, Delphi Behavioral Health Group, drugs, epidemic, FDA, fentanyl, Florida, Global Society, Heroin, High, Jennifer Behnke, mental health, New Perspectives, opioid, overdose, pain medication, pharmaceutical, pop culture, Rebecca Kang, sobriety, Suboxone, substance abuse, therapeutic service, treatment center, treatment facility, Vaughn Lowery on January 29, 2019 by wp360mag. Yoga therapy represents a new approach to mental health that seeks to alleviate emotional pain and restore well-being through a series of meditative practices that involve both the body and mind. Over the last decades, researchers and mental health professionals have realized what Hindu monks have been teaching for thousands of years – a holistic approach to psychological and physical health is the key to balance and well-being. Yoga – which is the foundation of yoga therapy – is an extremely complex spiritual tradition that has a history of roughly five thousand years, rich literature, and clear practice guidelines. Luckily, over the years, practitioners have simplified this approach and made it accessible to anyone who’s interested in self-exploration and self-growth. Yoga Therapy: What is it? Considered both an art and a discipline, yoga is an ancient Indian practice characterized by meditation and physical activity, which can improve the body’s flexibility, reduce stress, and cultivate an overall state of health and well-being. 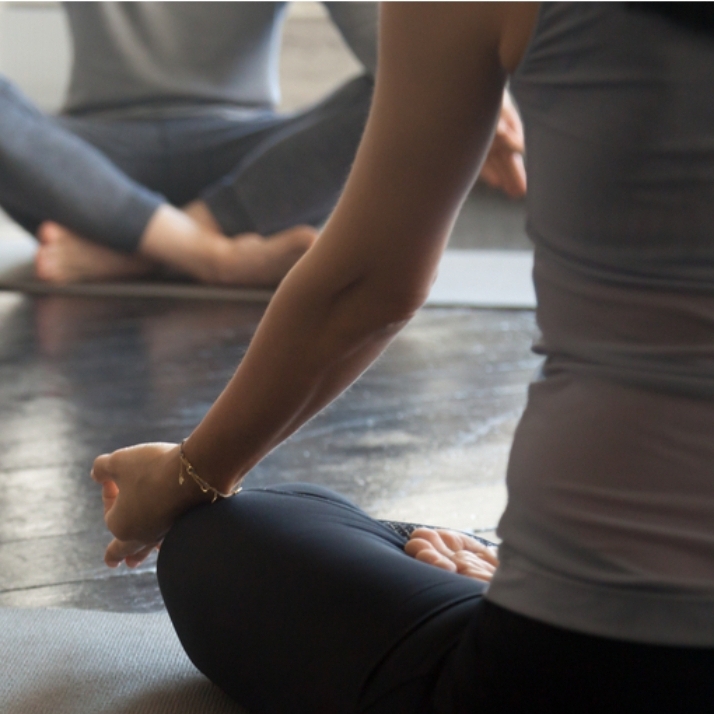 Yoga therapy represents a collection of principles, techniques, and practices derived from Hindu philosophy and adapted to clinical settings. By using meditation, breathing techniques, and body poses, this approach aims to improve our overall health and promote a state of calm and well-being. According to a 2013 study , yoga therapy helps people with mental illness by cultivating a state of calm, increasing awareness and focus, promoting acceptance and adaptability, and cultivating a sense of security. In Sanskrit (a language of ancient India), yoga means union. In other words, yoga therapy promotes an integrative and holistic  approach to mental health. The union that yoga therapists and practitioners often mention is that between body, mind, and spirit. Yoga teachings stipulate that once we unite these three fundamental aspects of human experience into one element, we can reach a state of balance and health on all levels. Some practitioners go so far as to believe that spiritual enlightenment and true unity can only be achieved in India, the birthplace of Yoga. However, this doesn’t mean that yoga – as a series of health-promoting practices – can’t be effective in other parts of the world. In fact, countless practitioners have successfully promoted and implemented this approach all over the globe. How Does Yoga Therapy Suggest the Mind Works? In yoga therapy, the relationship between body, mind, and spirit represents a fundamental element that can serve as an explanatory model for the cause of physical and mental illness and also provide a pathway to balance and healing. But these mental constructs are merely shadows of the truth that lies within ourselves; a truth that’s often hard to understand because of ignorance, narrow-mindedness, or lack of self-awareness. By taking a holistic approach to health, yoga therapy seeks to restore balance and well-being through a series of physical, mental, and spiritual practices. Read more about yoga therapy HERE. This entry was posted in Health and tagged 360, 360 Magazine, Atrin Yazdani-Biuki, body, body poses, breathing techniques, calm, healing, health, Hindu, Hindu philosophy, ignorance, india, language, meditation, mental, mental health, mental illness, mind, narrow-mindedness, physical, possessions, relationships, restore balance, Sanskrit, self-awareness, social status, spirit, spiritual enlightenment, spiritual practices, Vaughn Lowery, well-being, yoga, yoga therapy, Yoga Therapy Theory, union on October 27, 2018 by wp360mag.